10 Steps to Proper Showering – You had it wrong all these years!! Let’s talk about something we do regularly! Showering!! You heard me right! Now, you read the title and you’ve come here to find out what you’ve been doing wrong? Or have you noticed your hair has gone for a toss and you find yourself blaming your straightener, blow-dry or products for it? So let’s address this big issue we all have had! Most of you are the quick-shower-ninjas who can take a shower in flat 3 minutes and get running to your work with a clench clip on your wet hair? We all have been in that situation every once a while that you are pressed for time and you need to shower quick! While it is acceptable once in a while, you have been making a lot of mistakes in the process, stretching it too far. This has led to all that dry hair, cellulite build up, hair fall & dry skin! I can help you reverse all these with a strategic approach to showering. You don’t believe me? well, read on! From my childhood, this has been a part of my showering routine. Whenever I am taking ahead shower, I first comb my hair through to get rid off any frizz. I then apply some oil (hot if I have time) on to the scalp and massage it in properly with my fingers. A minimum of 10 minute massage is required to get the blood circulation proper activated. Comb through your hair after the oiling. Wet hair is brittle and breaks easy. So you need to detangle your hair at the prep! I use this oil for a very long time. Heavenly!! But if you cant bear the smell, just use some good coconut oil or olive oil. Oh! Let me tell you why I don’t wash my hair daily! Your hair produces natural oils that keep your hair coated and healthy. When you wash your hair daily, you wash off these natural oils. Now our body works on signals and it starts producing more oil. this goes on as a cycle. You will end up with an oily scalp and never get the benefits of this natural oil. I doubled checked this information from a post written by Ambika Pillai, one of the premium hairstylists in India. So, unless I have products on hair or I have sweaty scalp after workout, I wash my hair twice a week. 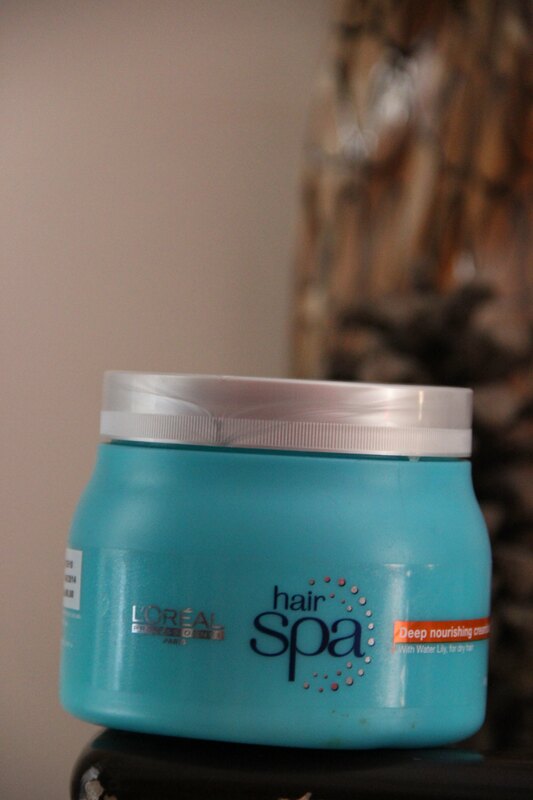 I have found this to be the best way to keep your hair healthy and thick. This is the point where you should use your Cellulite brush to dry scrub your body. Cellulite!- that nasty orange peel stuff that kills your thighs!! Yes! you can reverse this damage too- with a Cellulite brush. You just need to dry brush your body before shower. Dry brushing is a full-body detoxifying treatment used to remove dead skin cells, boost circulation and increase lymphatic drainage. 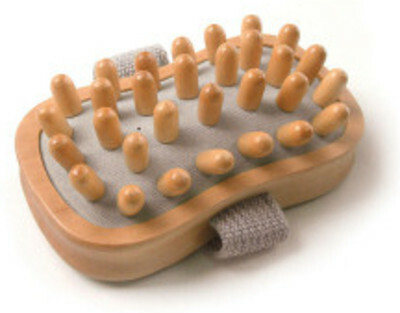 Over time, daily dry brushing can improve skin’s texture and elasticity and reduce the appearance of cellulite. I also love using Body Scrubs. 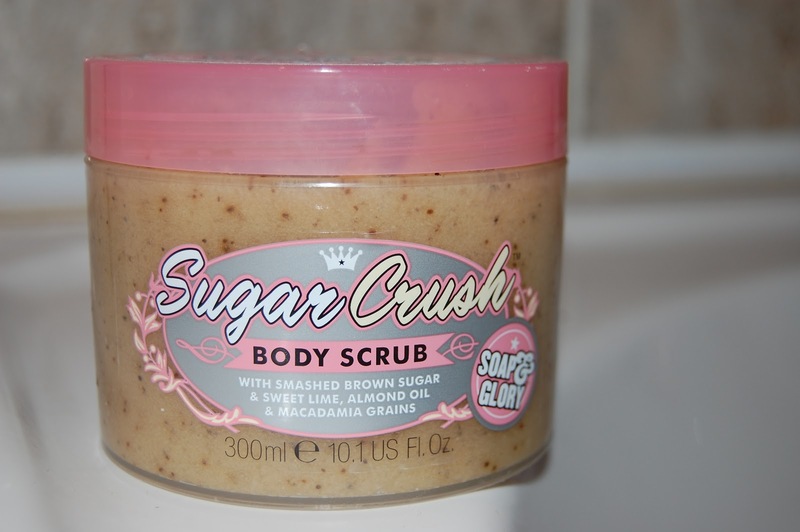 I especially love the Soap & Glory Sugar Crush. The smell is just heavenly!! I have taken fancy for the latest Limited Edition Blueberry Body Scrub from The Body Shop as well. I have posted about it in an earlier post here. You have those nasty pimples on your back? That maybe due to residue products when you wash your hair. To avoid this, always was your body after you was your hair. It also gives you enough time to let your deep conditioning sit, when you do it. So start off with rinsing your hair. You don’t just slap on the product first. Rinse your hair well. Take about 10-15 seconds to let the water sink in and open your cuticles and get rid of the oil and dust on the strands. Thumb Rule: You Shampoo only your roots!! Take some shampoo of your choice in you palm and work your way on the scalp using back & forth movement. Scrub gently using your fingers. Do not shampoo the hair stands. Take special attention to the nape area, as they collect more oil and sweat. Do not shampoo for more than 30 seconds. You don’t want to dry out your hair. Squeeze out the shampoo from your roots down your strands and gently wash off. My stylist recommended me to use a small pea size amount more to have a second wash, to make your hair squeaky clean. Rinse off well. Lets get this straight: You NEED to condition your hair after a shampoo. Shampoo dries your hair and you need the moisture to be locked in. This is where the conditioner saves you. More product does not mean more conditioning. Just use conditioner as much as the size of an average strawberry. Apply it on to the hair ends and not the roots. Your scalp and conditioner are not besties! If you are using a deep conditioner, now is the point to just put it into a shower cap or clench clip. Else, rinse off the conditioner in about a minute. Lets get to body cleansing. I don’t know about you, but I have been using Shower gel/creams with a loofah since eternity. Some of you prefer a soap as well I presume. Take good care in selecting the right product to cleanse your body. Glycerin based soaps are always a safe bet. Always make sure your loofahs are cleaned properly after each shower!! I have huge crush on Dove shower creams. I am just done with Shea Butter through the winters and currently using this pistachio and magnolia. For all the ladies who prefer to shave in the shower: Take notes!! Do not shave dry! I have seen girls just shaving their dry skin, even without some product. Please girls!! Shave after your shower, so your cuticles are prepped and hair is ready. Use your hair conditioner on the skin to avoid drying out while you shave. A razor is a tool, so be wise and shave careful! Use warm water while shaving! Make use of the hot water in the shower and all that soaking. Use a pumice stone and scrub off dead cells from your feet. Doing this on a regular basis will help you keep you feet soft & beautiful. Rinse off your deep conditioner at this point. Make sure you have washed the product completely. Finish with some cold water to close the pores and give the hair shine. Once you are done, please ensure you wash your body once more, to avoid product residue. Take special care of the upper back area. Once you are done with all these, go ahead and wash your face using a gentle cleanser/ scrub. Scrub your face once a week to get rid of dead cells. Keeping your face for the last, helps your pores to open up and makes the cleansing more effective. Use luke-warm water and again finish with cold water to close the pores. After Shower, make sure you have two towels to dry you. One thicker towel for the body and a lighter one for your hair. Using a t-shirt to dry your hair is always better. Do not rub hard to get yourself dry. Gentle pats are fine. Slather on moisturizer even before you step out of the shower. This will lock the moisture in. Hope you are doing most of these at least. Correct the mistakes and stay beautiful. Sugar- Slowly Aging your Skin! !